I have an FP1 Fairphone. Not the greatest ‘phone ever, but the outcome of an amazing project started by a small group of Dutch activists to develop and sell a smartphone with the best possible ethical and environmental credentials (avoiding conflict minerals, paying attention to worker’s conditions, supporting repairs and recycling, amid other concerns). The FP1 was fairly compromised, but established the outfit, and sold 60,000. The FP2 is a significant advance, independently verified as the most ethical smartphone available. Most importantly for me, it is based on a chipset which is ‘open’ enough that alternative OS development is practical ( not the case for the FP1). This means that the ‘phone will likely have a longer practical life, with updates potentially available from a variety of sources. Fairphone understand and support this, and the impulse to write this post is the announcement that Fairphone are going to open the Fairphone OS (an android fork) for community contributions, releasing a set of software tools to support this. I haven’t got an FP2 yet (not buying a new ‘phone until you really, really need one is the sustainable way, folks, frustrating though it might be). So I’m hoping that, by the time I do, there will be a strong community behind Fairphone, giving me more and better options for using the hardware – which should itself be upgradeable, thanks to modular design. 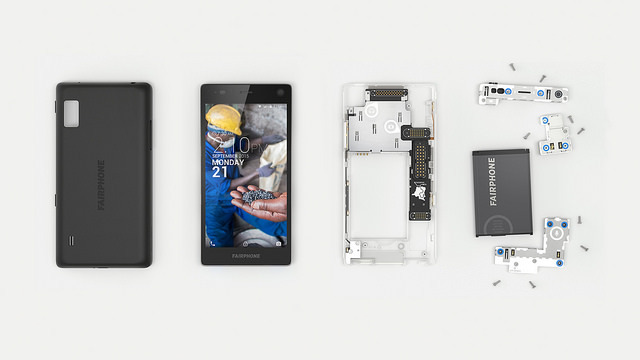 Interested in Fairphone? Look here. For Computing magazine’s pre-production review, look here. Inspiring idea … but what does a better nation look like? How does it work? In my post TechnoLiberation a few weeks ago, I rather vaguely proposed that the new political/economic paradigm would come up from underneath, that it would be predicated on enormous numbers of people using information technology to create new forms of interaction that worked for humans, that superseded the current models, rather than did battle with them. Paul Mason’s new book, for which the article is a pre-publication taster menu, makes a much stronger, more detailed, and compelling case that the beginnings of this transformation are under way already – that the economics of information underpin all sorts of human initiatives, on a wide number of fronts, that offer tentative blueprints for ‘a better nation’ in the making. A better nation – and one which people in technology can easily imagine that they are working in the early days of. In another demo, someone connected their Windows Phone to a large screen and to a Bluetooth keyboard and mouse. Not only did Office expand to accommodate the larger screen size, but the experience was identical to that of working on a PC. The presenter even said that with some of the higher-end phone models it will be possible to use your phone as a phone and a “PC” at the same time. It would be possible, for example, to work on a spreadsheet on the big screen while talking on the phone, playing a game or watching a video on the phone’s built-in display. This is convergence, and I predict (with my usual complete lack of originality) that it will produce a major upheaval, and the final nail in the coffin of the traditional PC as a consumer device. I’ve been going on about it for ages, but not here so far. The logic is simple. If you have, always with you, a powerful-enough computer that has access to all the software and data you need, then why would you ever bother to use a different device? Why would you spend out on another powerful computer, with different software, that is effectively immobile – another device that condemns you to continually switching interfaces, worrying about synchronisation, using different networks, different UI paradigms. Seriously, why? 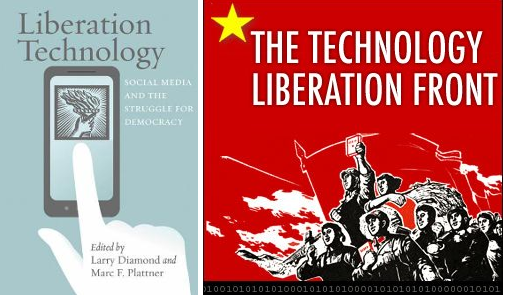 Tech AND Liberation?! I just had to attend. To find myself successively disappointed and then engaged.